Why millennials are gravitating toward diverse workplaces. For millennials, diversity and inclusion go beyond just race, gender, religion, etc. For millennials, a company with a diverse workplace means being able to bring the different point of views, different experiences, ideas and opinions to their work. This is the type of workplace millennials are striving to be a part of. In 2016, the Institute for Public Relations and engagement firm Weber Shandwick found in a study that one-third (34%) of employees stated having more diversity at work than in their personal life. Companies that create a diverse workplace are more likely to ask their millennial employees for contributions. The contributions can range from cultural ones to targeting a younger demographic. These opportunities allow millennials to contribute and share their opinion and ideas in a workplace where it will be valued. Millennials are more interested in organizations that have an inclusive culture. 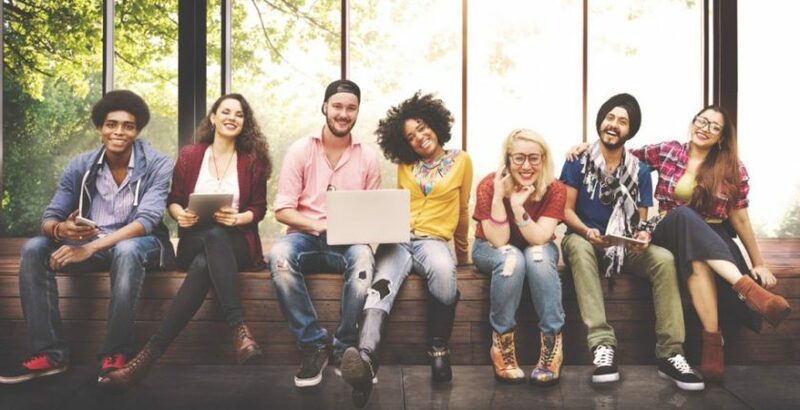 In 2016, Deloitte University conducted a study on the impact of generational views of diversity and inclusion and found that 83% of millennials are actively engaged when they believe their organization fosters an inclusive culture, while 60% of millennials are engaged when their organization does not. Millennials are more likely to be aware of discrimination at work and are more likely, and comfortable, to speak up than their older colleagues. According to the Institute for Public Relations study in 2016, 58% of employed Americans reported to seeing or hearing some form of discrimination at work, more frequently racial discrimination. According to employed millennials, the Institute for Public Relations study found that the number one reason they believe employers emphasize on diversity and inclusion is to make the workplace a better place to work (38%). Meaning, that millennials view a diverse workplace as a better workplace.